Not all legless reptiles are snakes, like this slow worm which is just one of the many kinds of legless lizards. The complete or near loss of limbs has evolved in lizards a great number of times. Some entire lizard families are legless. Some families contain a few species with tiny vestigial limbs, while the rest are limbless. Some families are mostly “normal” four-limbed species, with limblessness, near limblessness, or two-leggedness having evolved in certain lineages independently. The biggest lizard family – the skinks (of which there are 1500 of mostly leggy species) – has groups that have lost their limbs on numerous occassions in Africa, Europe and Australia. 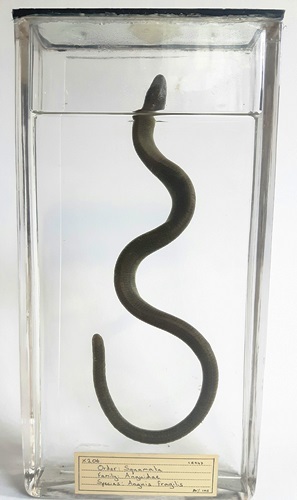 In most cases of legless lizards, some remnant of the hindlimbs is visible, often by the precence of scaly flaps. Leglessness evolves when the legs become a hindrance rather than a help in an animals’ locomotion, and in lizards this is normally to do with burrowing. Essentially lizards have found that it is more effective to “swim” through the soil, pushing their way through little gaps with their heads. If you think about it, this makes sense because lizards’ arms aren’t that close to their snouts, so using them to dig can be a it awkward. This is one also one of the main hypotheses for how and why snakes evolved. Swimming is also a driving factor for losing limbs. 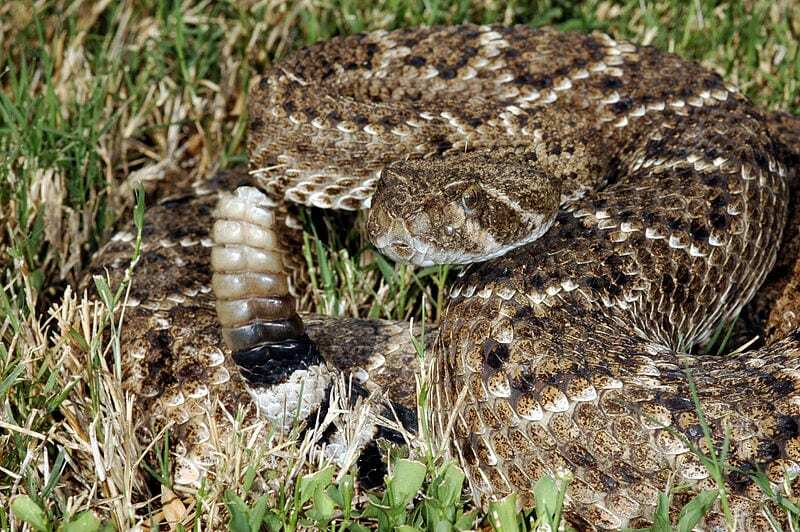 Once upon a time there was a rattlesnake, he lived in the high desert of North Western New Mexico. No doubt conceived in love, he was born live, not out of an egg like most other snakes. He grew up big and strong, lithe and supple, with dark diamond-shaped patterns along his back. When he was growing up, he grew larger than his skin so he slipped out if it, shedding the thin scaly coat on the sandy ground and not looking back. In the last couple of weeks I’ve been describing the final field project on this trip, joining ecologists from the Australian Wildilfe Conservancy (AWC) on a full faunal survey of their sanctuary on the Arhnem Land Plateau in the Northern Territory. 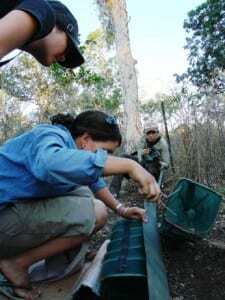 During this one month expedition I encountered more snakes than I had throughout my whole life previously. 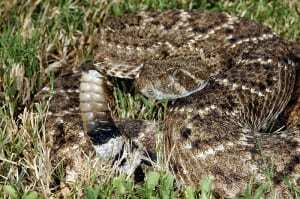 Snakes on field work is the topic of this week’s post. Carefully handling a funnel trap containing a brown snake – trying to identifying without touching the snake.